Some self-publishing companies act as if becoming a success is simple: A few clicks of the mouse and you’re on your way to becoming a best seller! But the truth is, most well-known, self-published books didn’t spontaneously rise through the ranks; they were passionately and vigorously promoted into best-seller-hood by their authors. Thinking like a writer means focusing on craft, voice, inspiration, observation, and your inner wisdom. Writing a book is a quiet, introspective endeavor. But when you begin to think about getting your books out into the marketplace, you must swap your writer hat for your CEO hat. And being the leader of a writer brand is a much different thing than being a writer. Thinking (and acting) like a CEO takes lots of business smarts, common sense, enthusiasm, and drive. Set your self-publishing goals. Do you want to create an author brand that will be recognizable across multiple book projects? 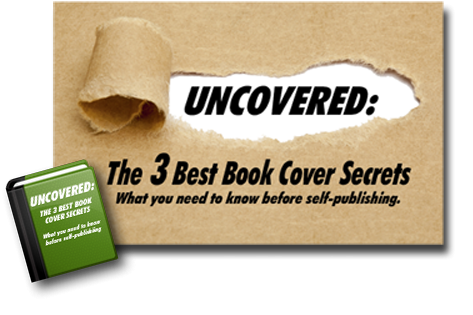 Or do you just want to publish a single, stand-alone book? The answer will guide your next steps: You can’t successfully cross a finish line unless you know where it is. Consider your entire author platform—not just your book. What should your cover look like? What should your author website look like and how should it function? What do you want your author headshot to say about you? What kind of personality do you want to cultivate on social media? Focus on your long-term goals to determine the best ways to make people respond to your name, your titles, and your brand. Review the numbers. Though you might be inclined to ignore your sales figures or your social media stats (because they’re disappointing or simply not interesting to you), a good CEO will gather data, learn something from it, and put that knowledge to good use. Delegate, when possible. If you’re running your own self-publishing empire, you’re not just the CEO: You’re the writer, proofreader, researcher, marketer, public speaker, design consultant, book trailer creator, administrator, and much, much more. So if you have the ability to delegate and ask for help, do so. Otherwise, you might burn out. Network. Good CEOs know who can make or break their self-published book. They also work with other authors to market and promote. Attend writers’ conferences, make friends in the local writing scene, and then mine your connections for opportunities. Get educated about trends. CEOs know what’s going on in their industry. For writers, that means knowing about trends not only in self-publishing, but also in traditional publishing, social media marketing, and more. Be positive. A good attitude will open doors, keep you afloat through rough waters, and help you focus on your dreams and goals. Know your own strengths and weaknesses so you can take them into account when making decisions. Try to focus your efforts on the tasks and projects that give you energy, as opposed to those that deplete it. The key to using CEO-thinking as a publishing technique is this: Nobody is going to care about, defend, build, and nurture your author platform more than you. No one else will work harder than you. No one will take more responsibility for what goes right and what goes wrong. You steer the ship. With the right attitude, having a sense of responsibility and ownership over the future of your author brand will feel exciting and challenging. Question: What have we missed? What other CEO traits do self-published writers need to have? Tell us about your experience! This was really helpful. Like many writers, I view my words as an extension of myself. Whereas I would have no problem at all in pushing somebody else´s product, I find it very difficult to shout “Hey! Read this! It´s great! You´ll enjoy it!” Might just as well walk around with a label round my own neck saying “Buy Me”! But …. I´ll give it a try!